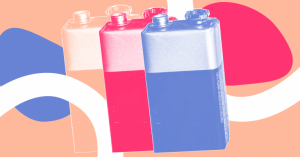 Caltech, NASA, and Honda teamed up to develop an extraordinary new battery. Batteries are great. They power many hallmarks of the future, from smartphones to electric cars. The problem, of course, is that batteries never seem to last quite long enough on a charge — and their environmental footprint is substantial. Now, though, an all-star team of researchers from Caltech, NASA’s Jet Propulsion Laboratory, and Honda say they’ve developed a fluoride-based battery that could deliver up to ten times the energy density of a conventional lithium-ion cell — and that take fewer resources to manufacture. The team describes the new battery in a paper published Friday in the journal Science. Basically, CNET reports, fluoride batteries have been around for a while — but they required oven-like temperatures of around 300 degrees Farenheit (150 Celsius) to function. The new battery, according to Caltech and company, can produce power at room temperature. An added bonus: unlike the lithium-ion batteries that power iPhones and Teslas, the researchers behind the fluoride battery say that it’s unlikely to burst into flames. It’s also worth keeping in mind that new battery technology is prone to extraordinary hype. But as with all new tech, there could be unforeseen roadblocks to practical applications — and, even in the best case scenario, it typically takes years to bring a new product to market.